If you are self-employed or working for your family, it is typical to not receive any payslips. But what if you need to get a loan from the bank, or buy a new car or house, or even just rent an apartment? You will need to provide proof of income for approval. Most banks ask for payslip as proof of income as a way to verify the borrower's ability to repay their debt and to demonstrate that he/she have a steady job and solid source of income. Anyone who cannot provide a payslip are seen as a higher risk. Payslips are the most reliable way of verifying someone's income. It shows your Year To Date (YTD) income to calculate if your current inncome has been consistent throughout the financial year. 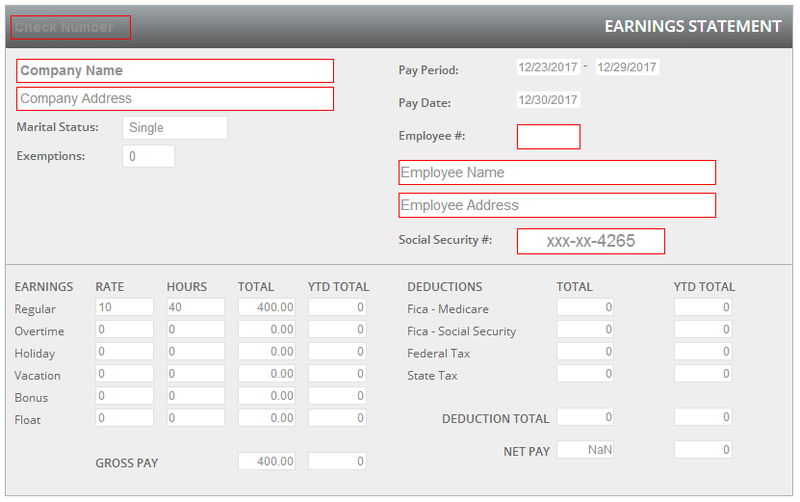 It shows expenses such as tax and any debts your are paying direct from your pay such as salary packaging expenses. The bank can see whether you are employed as a permanent or casual employee. Makepasylip.co.uk provide advanced and detailed payslips for you that meet specific requirements from the banks. It must be dated less than four weeks from the date of application. Old payslips may not be accepted. It should include the employee's name, year to date income, pay period details and the employer's ABN/ACN number. It must be computer generated using an accounting system. handwritten pay advices or pay envelopes are not accepted on their own.